According to Jewish folklore, Lilith was Adam’s first wife. Though she is not mentioned in the Torah, over the centuries she has become associated with Adam in order to reconcile contradictory versions of Creation in the book of Genesis. The second account of Creation is known as the Yahwistic version and is found in Genesis 2. This is the version of Creation that most people are familiar with. God creates Adam, then places him in the Garden of Eden. Not long afterwards, God decides to make a companion for Adam and creates the animals of the land and sky to see if any of them are suitable partners for the man. God brings each animal to Adam, who names it before ultimately deciding that it is not a “suitable helper.” God then causes a deep sleep to fall upon Adam and while the man is sleeping God fashions Eve from his side. When Adam awakes he recognizes Eve as part of himself and accepts her as his companion. 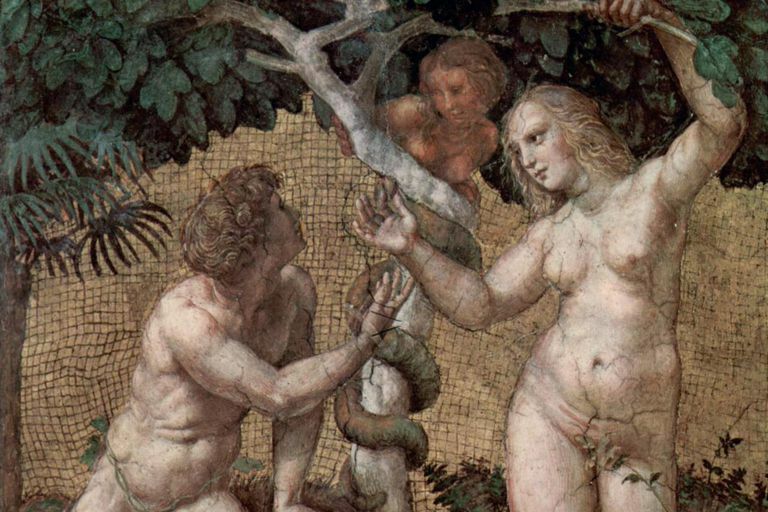 The first version of Creation actually referred to Adam’s first wife, a 'first Eve.' But Adam was displeased with her, so God replaced her with a 'second Eve' that met Adam's needs. The Priestly account describes the creation of an androgyne – a creature that was both male and female (Genesis Rabbah 8:1, Leviticus Rabbah 14:1). This creature was then split into a man and a woman in the Yahwistic account. The Alphabet of Ben Sira appears to combine legends of female demons with the idea of the 'first Eve.' What results is a story about Lilith, an assertive wife who rebelled against God and husband, was replaced by another woman, and was demonized in Jewish folklore as a dangerous killer of babies. Later legends also characterize her as a beautiful woman who seduces men or copulates with them in their sleep (a succubus), then spawns demon children. According to some accounts, Lilith is the Queen of Demons. Kvam, Krisen E. et al. "Eve & Adam: Jewish, Christian, and Muslim Readings on Genesis and Gender." Indiana University Press: Bloomington, 1999. Did Adam Have a Wife Before Eve?